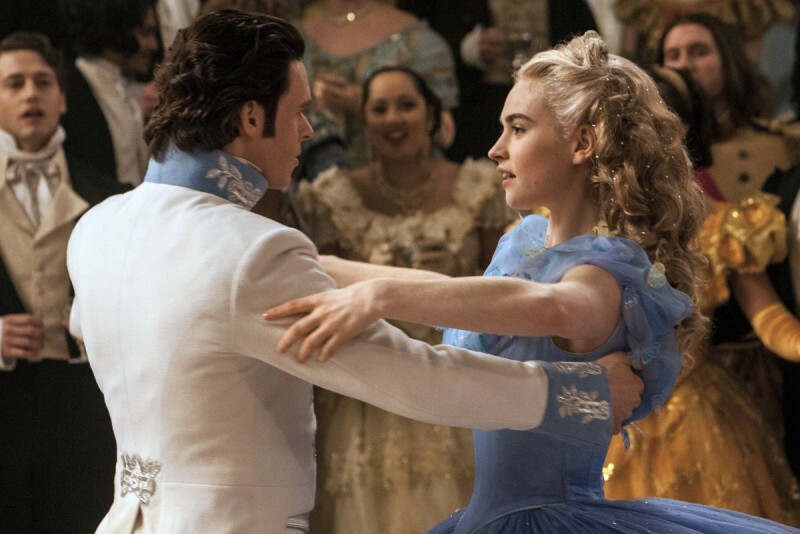 "The live-action version of the classic story fits beautifully "
The tale of Cinderella is a story that has been often told in different variations. Most people who have ever read a book or watched a movie are familiar with the tale. Disney's animated version from 1950 is one of the more popular and well-known interpretations. Disney has now enlisted director Kenneth Branagh (Thor) and screenwriter Chris Weitz (About a Boy) to take their classic movie and bring a live-action retelling to life. The good news is that they have successfully accomplished this feat in a visually vibrant and ravishing adaptation. 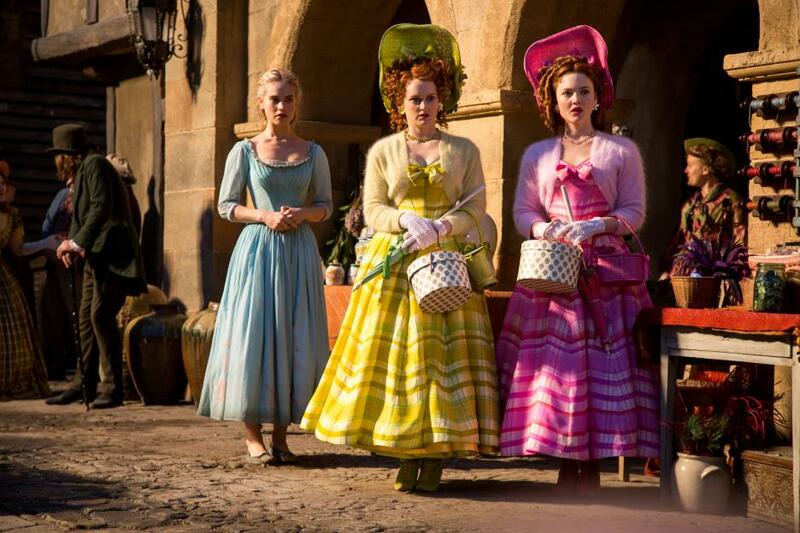 Actress Lily James (TV's Downton Abbey) stars as the titular Ella, who lives a life of indentured servitude to her evil stepmother (Cate Blanchett) and bratty step-sisters Drisella (Sophie McShera) and Anastasia (Holliday Grainger). One day, Ella comes across a handsome prince, played by Richard Madden (TV's Game of Thrones), in the forest and a spark is awoken in both of them. Through magical circumstances, Ella ends up at a ball, where she is reunited with the prince for a memorable evening, full of romance and wonder. As you have gathered from the plot description, this new version is fairly straightforward and faithful to the classic story. What director Branagh brings to this new interpretation is a visual beauty that is striking and rich with stunning colors. All praise must be paid to the dazzling costume design by Sandy Powell and the impressive production design by Dante Ferretti, which are sumptuously shot by cinematographer Haris Zambarloukos. Branagh and Weitz bring forth the magic of the original movie with heart and honest emotion. There are some modern tweaks that shine through the traditional elements, but one does wish there had been a few more. The theme of parental love is injected into the familiar story, but it could have used deeper examination. One thing is for sure, the performances are effective and the cast bring these famous characters to spirited life. James brings a touching vulnerability, but also some glimpses of toughness, to the title character. Madden conveys a noble quality to the prince with a daring spirit, which gives him some much-needed shades of personality. Their chemistry is potent in romantic sparkle, while allowing each character to be on equal footing. James and Madden bring heartfelt emotion to their scenes with their respective fathers, played by the talented Ben Chaplin and Derek Jacobi. Helena Bonham Carter brings a feisty energy to her role as the fairy godmother. 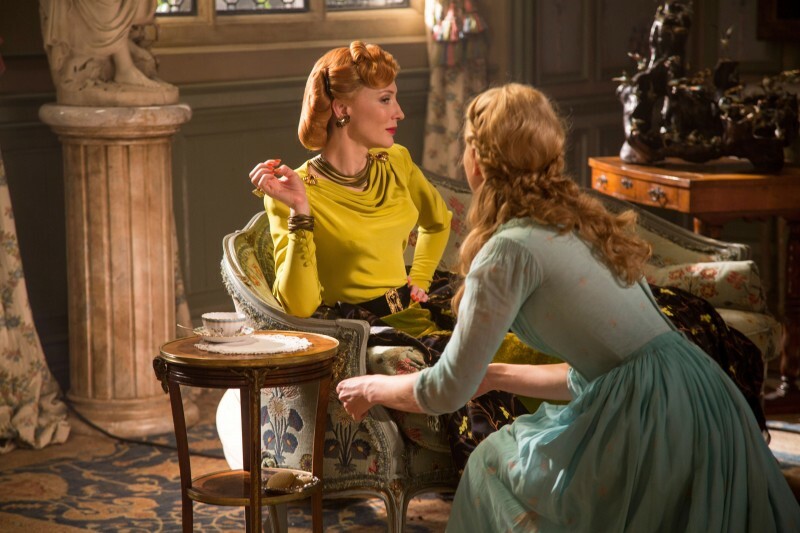 Cate Blanchett is captivating and steals every scene she is in as the wicked stepmother. Blanchett goes full-force in her icy depiction of a lonely women who envies the beauty that Ella inhabits. She never wavers from her cruel attitude, but allows moments of vulnerability. Blanchett is a blast to watch and brings a playful element to the movie. Branagh stages some sensational sequences, including the ball scene, which is vivid in its visual detail and alive in romantic awe. Though this interpretation does not take as much risk as one would like, there is no denying that Branagh's take on the famous story will enchant audiences of all ages, which retains the touchstones of the animated classic. There is a mischievous sense of humor that brings a lightness to the movie, while retaining the heart and vital emotions of the timeless tale. 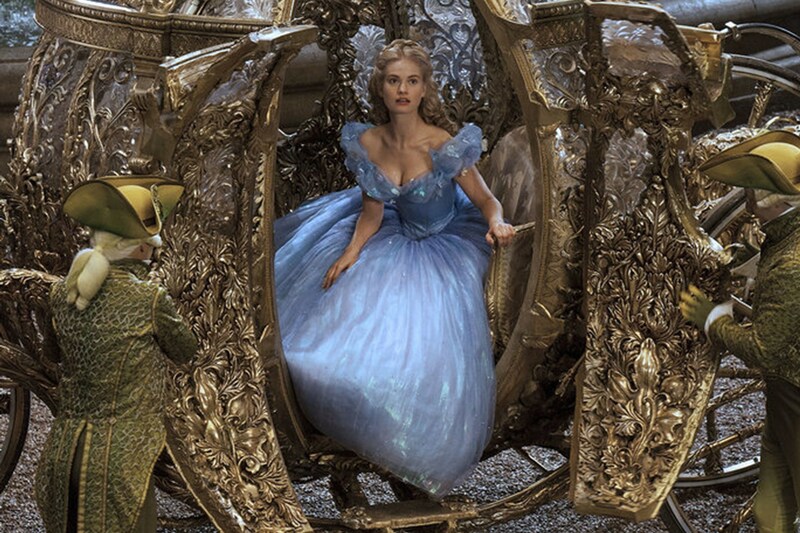 Branagh and his team have created a Cinderella that feels traditional in the best sense. 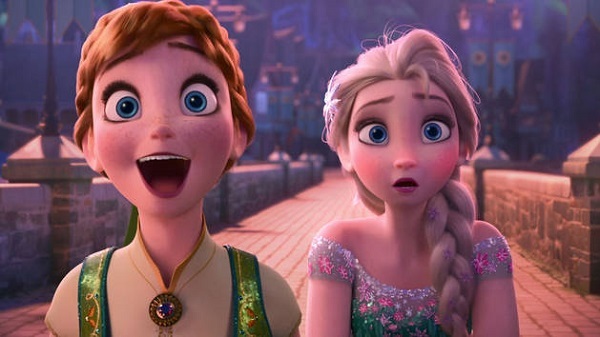 In addition, there is also an animated short preceding the movie called Frozen Fever, which is a spin-off of the wildly popular animated feature, Frozen. It's a charming short that reunites everyone's favorite characters for a birthday celebration that is full of shenanigans and fun. Director Branagh's gorgeous visual interpretation. Dante Ferretti's vibrant production design. Cate Blanchett's deliciously evil performance. James and Madden's romantic chemistry. Story doesn't take many risks in its traditional narrative.